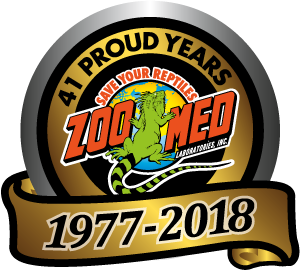 Zoo Med Laboratories – 41 YEARS of Saving Your Reptiles! | Zoo Med Laboratories, Inc. Zoo Med Laboratories – 41 YEARS of Saving Your Reptiles! The wonder he discovered from his days in the creek, the skills he gathered from working at pet and fish shops in his youth, and the sense of community he found in breeding and trading reptiles with others from around the world all collaborated in Gary’s vision that became Zoo Med Laboratories; the pinnacle in innovative pet care for reptiles and exotic pets for pet owners and conservationists worldwide. When asked about the early development of Zoo Med, he said “Never in a million years would I have imagined myself here or that this is what I would be doing. I think I am good at putting good people together and allowing them to create magic.” The team that makes up Zoo Med shares Gary’s passion to share and discover the splender of these often overlooked specimens. We love our animals and they are, of course, the center of what we do, but it’s the team that brings it all together and makes Gary’s, and our dreams come true. With the creation and evolution of Zoo Med Laboratories, Gary’s story of discovery has now come full-circle, and Zoo Med has the unique opportunity to inspire the next generation of explorers. Gary said, “To me, it has never been about the destination, but the journey. I have gotten to do amazing things, and each one led to the next. And now, here I am!” So where does the journey lead from here? Inspiring young people to go outside and care for nature. In today’s world, not everyone has the opportunity to discover creatures or explore the outdoors. We hope that our philosophy of bringing a bit of nature inside will help bridge the disconnect from the natural world that can so easily happen when engulfed in technology and our otherwise busy lives. Zoo Med Laboratories has been on the cutting edge of reptile husbandry and innovation for 40 years. In 1993 Zoo Med developed the 1st UVB lamp for reptiles, which changed the way all Zoos, herpetologist, and hobbyists keep reptiles in captivity. Zoo Med currently has over 30 patents and manufactures over 50% of its 1200 item product line at company headquarters in San Luis Obispo, California. Zoo Med supports many conservation organizations and regularly donates to over 100+ aquarium, reptile, and avian societies. Zoo Med has continued to be #1 in Reptile Lighting: With the invention of the 1st specialized UVB lamp for reptiles (the ReptiSun UVB310) in 1993, Zoo Med changed the way hobbyists kept reptiles in captivity forever. Before the ReptiSun, many species could not be successfully kept without resulting in shortened life expectancy. The ReptiSun has helped remedy this issue, and along with Zoo Med’s extended line of CFL, Mini CFL, T8, T5, Mercury Vapor, HID Metal Halide, and LED lighting that specializes to cover all parts of the UVA, UVB, and visible light spectrum, we can now help fine-tune your pet’s habitat to provide the most comfortable and healthy indoor living space. It has always been our goal to create the best and most natural homes possible for these exotic pets. Understanding the needs of these unique animals has been the main driving force in our manufacturing standards, and how they are implemented in our products, for the last 40 years. This ideology can be seen in not only what we make, but how we make it. From the moment the machines turn on to bag our substrates, build the glass terrariums, produce our foods and assemble the heaters, it is that pride and focus on animal care that is at the core of our business model. 50% of the Zoo Med product line is made at Zoo Med’s Headquarters in California, with another 25% of the products made in Europe, which includes 90% of the reptile lighting range. In efforts to minimize environmental impact and increase efficiency, all glass terrarium manufacturing operations have been moved from overseas to Zoo Med’s headquarters in California. This change is the equivalent of taking 114 cars off the road for an entire year! Over the years, Zoo Med has not only grown, but also adapted. We have become more than just a supplier of products for taking care of your pet, but also a trusted source of knowledge and inspiration. That’s why we have developed Zoo Med Studios. 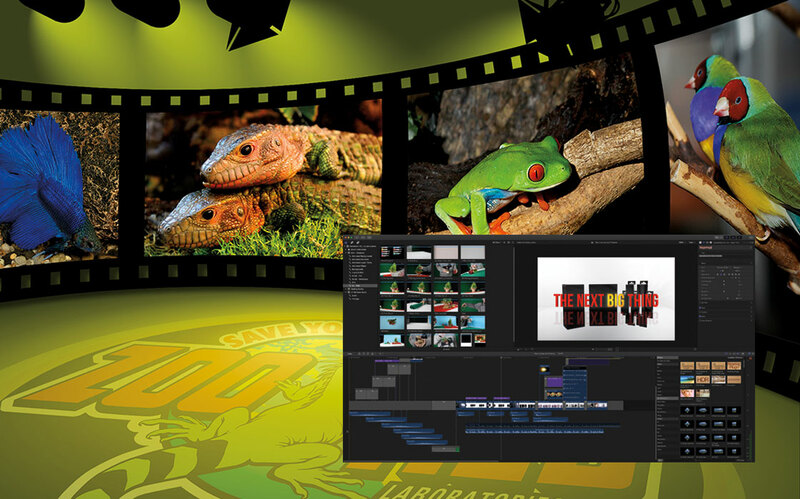 Since 2011, Zoo Med Studios has become the social hub for providing information, news, product and show updates, and how-to videos. Zoo Med Studios has become the prime avenue for reptile enthusiasts to connect to Zoo Med Laboratories in a fun and social environment. With the emergence of social networks like Facebook, Twitter, and YouTube, social-networking has allowed us the incredible opportunity to share our passion and connect with fans and fellow hobbyists on a daily basis and provide insightful tips and tricks for keeping a variety of exotic reptile, aquarium fish, amphibian, and bird species. Zoo Med Studios is dedicated to providing quality content and showing the world that we are not just a pet product company, but pet keepers as well! Zoo Med also has an extensive reptile-breeding program that includes approximately 500 turtles, 80 tortoises, 125 lizards, and 12 amphibians. Many difficult to breed species have been bred at the facilities including Spiny Hill Turtles, Pancake Tortoises, Central American Wood Turtles, Spotted Turtles, Savannah Sideneck Turtles, and Black Knob Sawback Turtles to name a few. Since 2009 we have successfully hatched over 1,500 animals from 47 species; many of them endangered! Our animals are at the center of what we do and regularly participate in many aspects of Zoo Med Labs. They show up in ads, catalogues and product packaging, they sample foods and new products, and are constant sources of inspiration with many of our employees with their own pets living at their desk. Customer Service and Research and Development teams are also the main caretakers for the entire collection of animals we have, so we can provide advice based on firsthand experience. The animals are an essential part of our company, we wouldn’t be Zoo Med without them! The Zoo Med Customer Service department sets the bar for excellence. With a collective knowledge and experience with a variety of exotic pets including reptiles, fish, amphibians, and more, they will happily answer questions on how to make Zoo Med products work best for your pet’s habitat. You’ll often find them working and taking care of our own in-house collection of pets as they answer questions about our products. This amazing team handles all research, development, feeding, breeding, and general animal maintenance. We know animals because we keep animals. The greenhouse was developed as a way of creating more natural environments to house a collection of our turtles and tortoises. After 6 years of design and adjustments, the Turtle Nirvana Greenhouse has proven to be everything we could have hoped for – a natural environment suitable for keeping and breeding turtles, incubating eggs and hatching babies! Complete with a geothermal heating system, UVB transmitting glass panels, and thermostatically controlled vents, we are able to keep a wide variety of tropical species happy and healthy year-round. Over 30 species of turtle and tortoise currently live and thrive in the Greenhouse, with many of these groups breeding regularly. To date, several different species have hatched naturally in the Greenhouse habitats. Some of these species include Three Toe Box Turtles, Eastern Box Turtles, Black-Knobbed Sawback Turtles, Reeves Turtles, and Pink-Bellied Sideneck Turtles. Exotic pet and reptile keepers make up a tight-knit and growing community that we have been proud to support in many different ways. From reptile shows, to local herp clubs and societies, to conservation organizations, Zoo Med is involved in many different aspects of the reptile community. Here are just a few of the organizations and efforts that Zoo Med is proud to support. USARK: An education, conservation, and advocacy organization for reptiles promoting awareness, education, responsible care, and professional unity. USARK plays an essential role in protecting the rights of reptile keepers. The Turtle and Tortoise Preservation Group, Turtle Survival Alliance, and the International Iguana Foundation are a few of the conservation organizations that focus efforts on preserving the world’s turtles, tortoises, iguanas, and their natural habitats. With a strong emphasis on education, these organizations work tirelessly to ensure the survival of some of the planet’s most ancient and endangered species. Local Herp Clubs, Turtle and Tortoise Clubs, and Aquarium Societies bring hobbyists together ensuring the future of our unique community. Reptile Shows take place all over the US and the World and create a fascinating, friendly gathering of like-minded reptile enthusiasts, families, and the curious public.